“You have the black dog on your back.” Winston Churchill famously referred to his depression as a black dog. Sometimes it menaces us with bared teeth. Other times, it lurks in the shadows. It’s almost hidden, but you catch a glimpse of it now and again, reminding you to be wary. There are hundreds of metaphors describing the pain of depression, but this one has always stuck with me. The pain, yes, but also the waiting… this is what makes depression so devastating to so many people. If you have had an episode of depression, then you are likely to have another, and it is the anticipation of another episode that colors even the good times with shades of grey. Dr. R.W. Shepherd said, “If depression is creeping up and must be faced, learn something about the nature of the beast: You may escape without a mauling.” This is our goal: to learn something about the nature of depression so that when we feel the wolf breathing down our necks, we can push him back. We can eliminate this fear, as well as the oppressive weight of depression, but we must know it first. During any given one-year period, as many as 19 million Americans experience depression. During a lifetime, 25 percent of women and 10 percent of men will develop the condition. More people have depression than have coronary heart disease or cancer, and it is the leading cause of disability among those 15-44 years of age. Lost productivity and medical costs amount to over $30 billion each year. The financial cost of depression is enormous, and the emotional cost cannot even be estimated. Lost opportunities to see loved ones, lost chances to travel or to enjoy new experiences, lost days, weeks, or months. The diagnosis of depression is relatively new to medicine. It’s something that emerged in the 20s or 30s and since then we’ve refined our diagnosis of that and we’ve refined our ability to identify people who have that illness. I think it’s an illness now that people talk about. . . in the same way that we talk about heart disease or cancer or other kinds of diseases, unlike 20 years ago when people used to be somewhat stigmatized by mental illness and felt that they had to hide their depression and couldn’t talk about it. Despite this, depression remains both under-reported and misunderstood. Take, for instance, the following quote from A. B. Curtiss, author and cognitive behavioral therapist: “Depression is a choice.” This seems like a devastating judgment on millions of people who suffer daily with depression – and yet, isn’t good health, to a large extent, a choice? This only adds to the confusion. Let’s eliminate some of the confusion and decide for ourselves whether depression is, in fact, a choice. There are different types of depression, the most common of which is major depressive disorder, orclinical depression. People suffering from clinical depression experience some or all of the symptoms noted above. Depression is different for everyone, and some people can experience remissions of several years when they have no symptoms. Others have recurrent episodes during a period with little relief in between. Those who have undergone a single episode of depression have a 50 to 60 percent chance of developing a second one. Of those who have had two, 70 percent will have a third, and if you’ve had three, you have a 90 percent chance of having a fourth. Dysthymic Disorder is chronic, mild depression that persists for at least two years. In contrast to clinical depression, dysthymic disorder is a constant state. About 1.5 percent, or 3.3 million, of the population over age 18 experience this condition in a given year. While the symptoms are not as severe as in major depression, dysthymic disorder is longer lasting and more resistant to treatment. We all grew up with the stories of Winnie the Pooh. The gloomy Eeyore is a perfect example of someone with dysthymic disorder. He has a generally pessimistic view of the world, low energy, and low self-esteem, all of which are characteristic of dysthymia. I give the example of Eeyore not to diminish the severity of dysthymic disorder but to give you an idea of the pervasive gloom that it causes. The depression almost becomes a part of the personality of the person suffering from it. 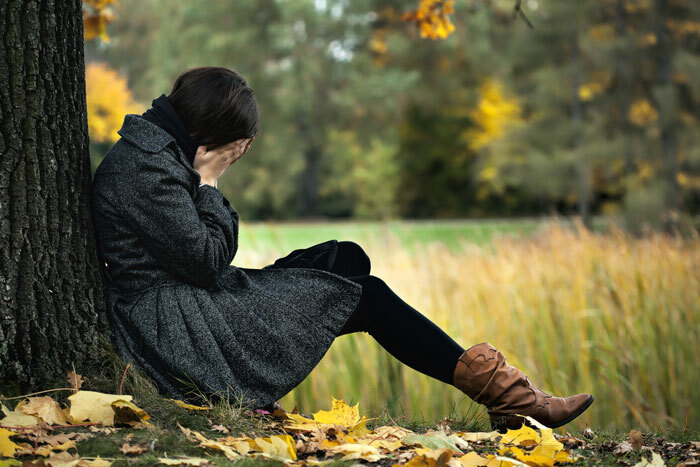 Other types of depression include post-partum depression, adjustment disorder with depression (this is depression that occurs after a major stressor, such as the death of a loved one), seasonal affective disorder (SAD), and depression related to other medical issues. While the reasons behind depression may vary, one thing binds sufferers together – the physical and emotional pain of depression. This is what so many people fail to recognize: depression hurts. Ninety-seven percent of those with depression say that it negatively affects their work and home lives and impacts their personal relationships. It is very difficult to live with depression – whether it is you or a loved one who actually has the condition. Living with someone who has depression can be as trying as having depression yourself. Like all serious illnesses, depression hurts everyone. …depression is also an illness that frequently presents with a large number of unexplained physical symptoms. Such symptoms are often not emphasized and are even excluded as components of the formal DSM-IV diagnostic criteria for major depressive disorder. Eight of the nine major diagnostic criteria for depression are related to emotional symptoms. The only physical symptom recognized as a criterion for depression is fatigue. According to Dr. Stahl, however, as many as 80 percent of depressed patients visit their primary care providers presenting exclusively physical symptoms. These include headaches and neck, back, abdominal, and joint pain. Often, depression is misdiagnosed when the patient complains of physical symptoms. There is a mindset that depression will present with emotional symptoms; if the patient has primarily physical ones, there must be a physical cause. This is not the case; Western medicine sometimes fails to see the mind body connection at work. This is what makes depression such a misunderstood illness. It is not all “in our heads.” Nor is it all in our bodies. Depression is a complex interaction of our physical, mental, emotional, and spiritual selves. Depression does more than cause minor aches and pains; it has been linked to heart disease, stroke, circulatory problems, and osteoporosis. It has long been accepted that depression and stress can worsen existing conditions. If you have heart disease, depression increases your risk of having a heart attack or blood clot. In people who have recovered from a heart attack, depression increased the risk of death. Among those without depression, the mortality rate after six months is about three percent. Among those with depression, it is 17 percent. Study after study attests to the danger of depression; more readmissions to the hospital, greater recovery time, greater risks of further negative cardiac events. Besides exacerbating an existing condition, depression can cause physical illnesses. A study done by researchers at the Washington University School of Medicine in St. Louis found that a history of major depression was a bigger risk for heart disease than any genetic predisposition. The study looked at 1200 male twins, all of whom served in the Vietnam War. They were questioned as to their health in 1992 and questioned again in 2005. The researchers found that those with depression were twice as likely to develop heart disease as those without it. Another study, conducted at Columbia University, followed 63,000 women from 1992 and 2004. At the beginning of the study, none of the women had signs of heart disease, but eight percent had symptoms of major depression. These women were more than twice as likely to die from a sudden cardiac event, usually caused by an irregular heartbeat. A recent study co-authored by Stephen Kritchevsky of the Stricht Center on Aging at Wake Forest University found an ominous link between depression and the specific type of body fat that leads to heart disease and diabetes. It has been found that fat in the midsection is an indicator of both of these illnesses; those with depression were found to be twice as likely to gain fat that surrounds the internal organs and deposits in the belly, called visceral fat. This specific study was conducted on people in their seventies. Dr. David Baron of Temple University School of Medicine says, “Depression is a physical illness. Maybe we should be even more aggressive in treating depression in this age group, whether through medication or talk therapy.” This is yet one more reason why depression should always be taken seriously; besides the devastating effects on our psyches, depression takes a tremendous toll on our bodies. The importance of removing physical symptoms of depression can not be overemphasized – the return of normal energy, motivation, and interest and the loss of the sense of fatigue and listlessness as well as the elimination of painful physical symptoms are required before a patient has complete remission from major depressive disorder. Neglecting the treatment of fatigue, low energy, and painful physical symptoms in depressed patients can lead to unsatisfactory outcomes, characterized by a failure of depressed patients to return to normal social and occupational functioning. A study published in Psychosomatic Medicine found that the physical symptoms of depression often last longer than the emotional symptoms. The study followed 573 patients with clinical depression who were beginning courses of antidepressants, such as Paxil, Zoloft, or Prozac. After three months, the patients who reported severe pain were four times as likely to have a poor response to their medication as those who didn’t report pain. Those who reported moderate pain were twice as likely to respond poorly. Physical pain can mask underlying depression and decrease the efficacy of treatment. Rollo May, existential psychologist, said, “Depression is the inability to construct a future.” This, really, is the crux of what depression is. We become mired in it and feel like we can never get out. I see countless clients for depression; one thing that ties these diverse people together is the imagery they use to describe their experience with depression. It is often described as a long, dark tunnel or a black hole. You fall into this black hole and cannot see the ladder to get back to the light. Former soccer star Neil Lennon has said, “It’s a bit like walking down a long, dark corridor never knowing when the light will go on.” The future seems like an overwhelming and frightening specter in front of you. I sat there almost catatonically, staring out into space. Rowan’s nursing made me feel drugged and temporarily comforted me. But the moment she was finished and taken from me, I started to sob once more. I sat up with my huge legs stretched out in front of me and, slowly rocking back and forth with my face up toward the ceiling, my arms limp at my sides, I sobbed. I couldn’t stop. What was I going to do? Was I ever going to stop feeling like this? Misery enveloped me. We can handle a bad mood; we can handle being stressed; we can handle feeling sad. What is so difficult is the feeling that it will never change – this is what makes depression so insidious. The effects of depression on our physical and spiritual health cannot be underestimated. It affects our concentration, our ability to make decisions, our relationships, our joy in once pleasurable activities. We feel guilt, anxiety, sadness, anger, emotional pain. At its extreme, depression can lead to suicide. According to the Mayo Clinic, about two to nine percent of depression patients will commit suicide. Those who had been hospitalized for depression or a suicide attempt were at highest risk – 8.6 percent. The risk for those with depression who had never been hospitalized was about two percent. Suicide is rare; the vast majority of people with depression do live and, if treated, live well.